As this is posted I am flying to the UK to play some FIFA 13. As the FIFA 12 season is coming to an end I asked my boy Wessamoronaldo to send me some goals for a dualtage. Worked a little extra on this edit syncing everything to the music. Leave a like if you enjoyed the video and don’t forget to sub my friend, Wessamoronaldo. 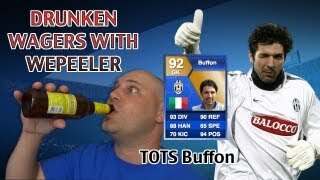 FIFA 13 | Wepeeler’s New 2v2 Series! Open Lobbies?